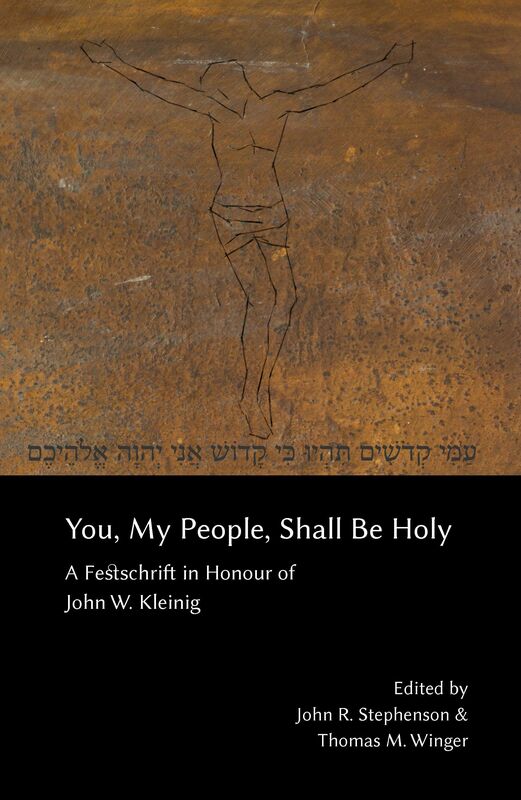 Concordia Lutheran Theological Seminary, St. Catharines, a seminary of the Lutheran Church—Canada, is pleased to announce the release of You, My People, Shall Be Holy: A Festschrift in Honour of John W. Kleinig. Dr. Kleinig, professor emeritus of Old Testament and worship at Australian Lutheran College, has contributed many resources to the Church. Grace upon Grace has shown readers that answers from self-help spirituality books only lead to confusion and fear; everything we need comes from Christ. His commentary on Leviticus explores how each chapter fins its fulfillment in Jesus Christ and the present worship life of the Church. Concordia St. Catharines' Festschrift is edited by Rev. Dr. John R. Stephenson (professor of historical theology at St. Catharine's) and Rev. Dr. Thomas M. Winger (President of Concordia Lutheran Theological Seminary, St. Catharines, Ontario). 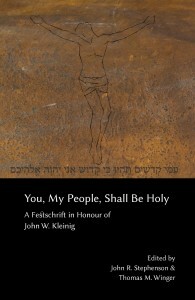 The Festschrift includes two hymns and 19 essays by colleagues and former students. It is available in soft- or hardcover through Lulu.com, with local printing and shipping in many countries. To order, click here. Commemorative Hymn: You, My People, Shall Be Holy!